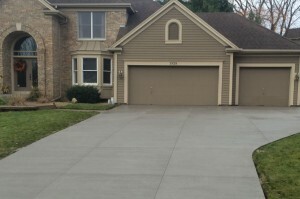 Concrete is one of the best materials that you could build your driveway with. This is because it is hardwearing, easy to clean and looks great. These days, concrete comes in several different types and styles too, which means that regardless of your preferences or style of property, there is sure to be something for you and your family. Sometimes, simple really is the best. 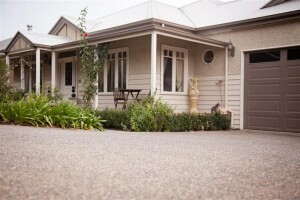 Plain or coloured concrete remains the evergreen and most popular option for many homeowners – and for good reason. Not only does it look sleek, clean and simple, thus making it a suitable fit for almost any home, but it is also long lasting, highly durable, and can be poured over any surface. Not a fan of plain, grey concrete? Thanks to the range of coloured concrete shades available on the market, you will have no problem picking one that perfectly complements your property. Exposed aggregate concrete is fast becoming one of the most popular options out there for driveways, and it’s easy to see why. This attractive concrete option gives homeowners a durable surface that is not only stylish but also remarkably versatile – there are so many textures and colours to choose from! By simply mixing aggregates such as stones, slate, pebbles or even shells with concrete, pouring it onto the surface, and then sanding back the mix to reveal the embedded materials, concrete driveway contractors are able to provide homeowners with an interesting textured look that blends in with the surroundings and instantly elevates a property’s exterior. Stencilled concrete is the clever way to go about achieving a paved or tiled look for your driveway – without the need for pavers, bricks, tiles or stones. Instead, by stencilling the desired design onto the concrete after it has stiffened but prior to it becoming fully hardened, homeowners are able to create the appearance of slate, tiles, pavers, stone or brickwork. Are you looking for something that is distinctive and unique? There are more and more stencil designs with increasingly elaborate patterns available these days, so speak to your concrete driveway contractor about your options. Last but certainly not least is slate concrete, which is created by stamping slate textured mats into ready mixed concrete just prior to the setting stage. This results in a look that replicates slate or stone – minus the work and maintenance involved in using those materials! 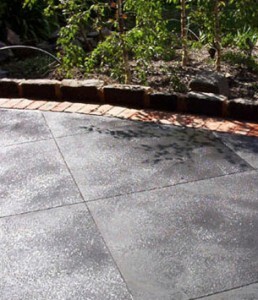 Slate concrete can also be sealed with a glossy finish for an added touch of elegance, and will give your driveway a luxurious finish that is sure to please, while still retaining the durability and low maintenance properties of a concrete driveway. Again, there is a wide range of patterns and colours available to suit all styles and tastes. Style: The first thing to consider is obviously the style of your property and your personal preferences. Browse galleries of different driveway styles to explore your options and determine the look that you are after. Functionality: Various factors such as how you intend to use your driveway and its length, size and position in relation to your property could all affect your options. That is why it is important to establish upfront the purpose of your driveway and what you would like to achieve with it. 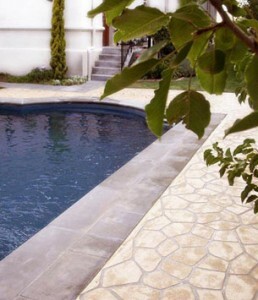 Cost: Different types of concrete and finishes come with different price tags. Speak to several concrete driveway contractors and get several quotes so that you can compare prices and see what your budget allows.